We offer a variety of loan options on Manufactured & Modular homes! Whether you are purchasing or refinancing your existing home we have something to fit your situation. Manufactured homes are factory-built homes engineered and constructed to specifications of the U.S. Department of Housing and Urban Development’s building code. Modular, single-wide, and double-wide; homes can be purchased new or used. They provide buyers with affordable housing options. Academy Mortgage went the extra mile with my clients and were able to help them QUICKLY clear up some matters on their credit report and get them pre-qualified very quickly. They were extremely informative and very accessible. My clients were very impressed with their communication and felt like clients and not a loan number! Clay and Christen are a fantastic team and I highly recommend them working for you! Clay and team really put my mind at ease during the home buying process, calming my fears and being available when I had any questions or concerns. I will absolutely recommend Academy Mortgage to anyone that I hear of needing a mortgage lender. Everyone was very thorough & explained everything to us. Clay has been great to work with. My last two deals with him went very smoothly. He will do whatever it takes to ensure customer satisfaction. It was a great loan experience. I appreciate all the work Clay and his team did on my behalf. Clay did a great job, he went above and beyond my expectations. I believe he really cared about my family’s wellbeing and did his very best to ensure all of our needs were met. My experience with Academy Mortgage was exceptional. The whole process brought very little stress upon myself as opposed to the horror stories I hear about other people’s home buying experience. The staff are very friendly, informative, prompt, and are willing to speak with you anytime regarding questions/concerns during the process. It was a very pleasant experience with no worries and would recommend this service to first time home buyers!! Christen, Clay and Kim were beyond amazing!!! I could not have asked for a better group of folks to work with! Honesty and integrity to the max and I very much appreciate everything about them!! Everyone was so patient and helpful every step of the way. Academy was extremely professional and responsive through the entire process. We really enjoyed working with them to close our loan. Clay was a great person to work with. Fast answers and very proactive. Great customer services and regular transaction updates. Clay ALWAYS answers his phone and is kind and courteous. Clay did an amazing job. Clay was always available to answer questions or concerns. This was by far the best experience with a lender I have every had. We have bought a few different properties and the hassle was always with getting paperwork done. Clay Cummings and academy mortgage take all that hassle out of it.  We were kept in the loop with every step and the app made things easy, being able to scan documents right into the app and to the loan officer. Overall 5 star service, will definitely recommend and use again. Thank you. Very professional and very well at communicating. Clay was a great asset to my home buying experience! Definitely glad to have him on my team!! The Cummings team is a group of rock stars. They know their jobs, truly have your best interest at heart, and treat you like family. Love these guys. The Academy Mortgage team is great! They will do what it takes to get the job done! We highly recommend this group! Thanks for all of your hard work!